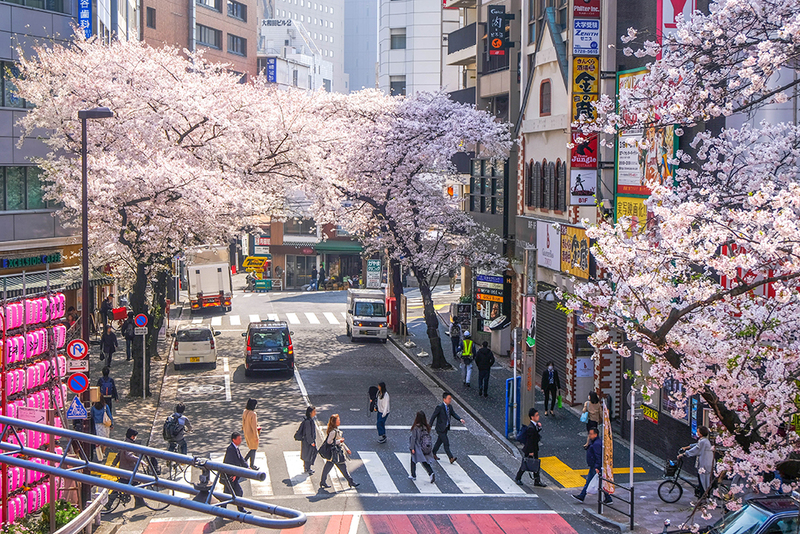 The Yanesen area, close to Ueno in Tokyo, has gained immense popularity recently. We wrote about the yummy treats you can try here, have you read it already? 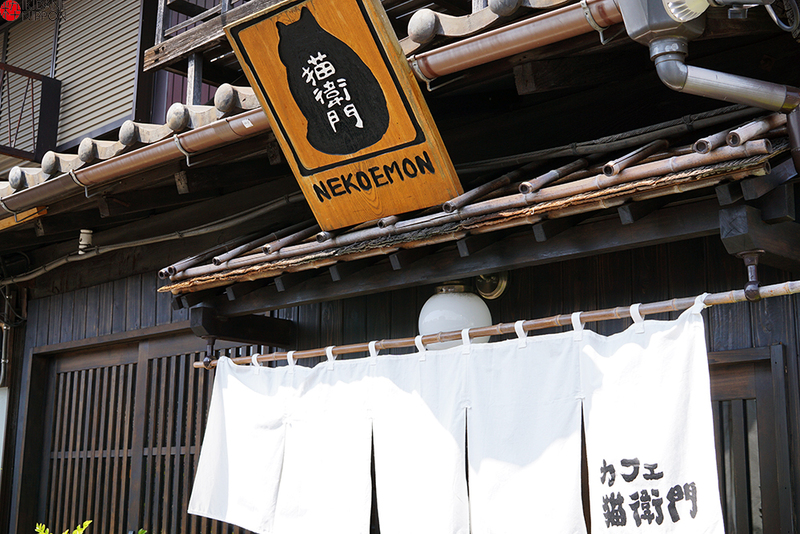 Yanesen is a name given to the three adjacent areas of Yanaka, Nezu, and Sendagi, that lie between Nippori and Sendagi Station. 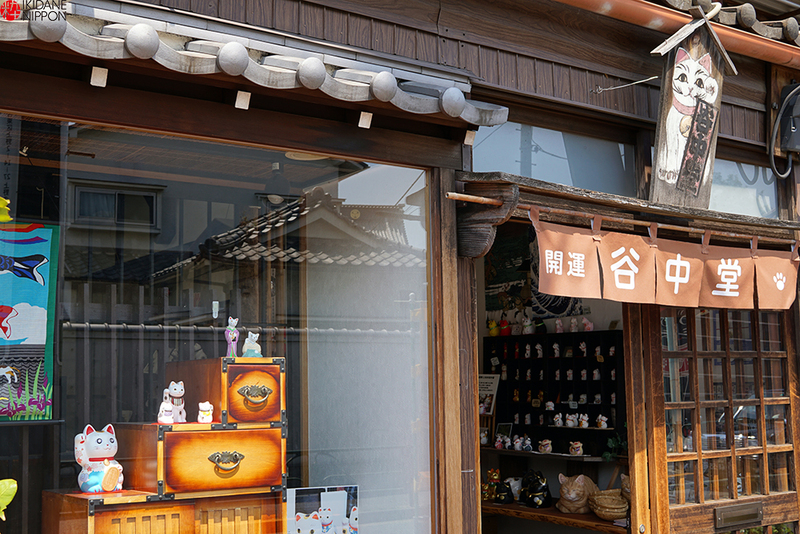 where you can enjoy old Japan vibes and lots of tiny shops. 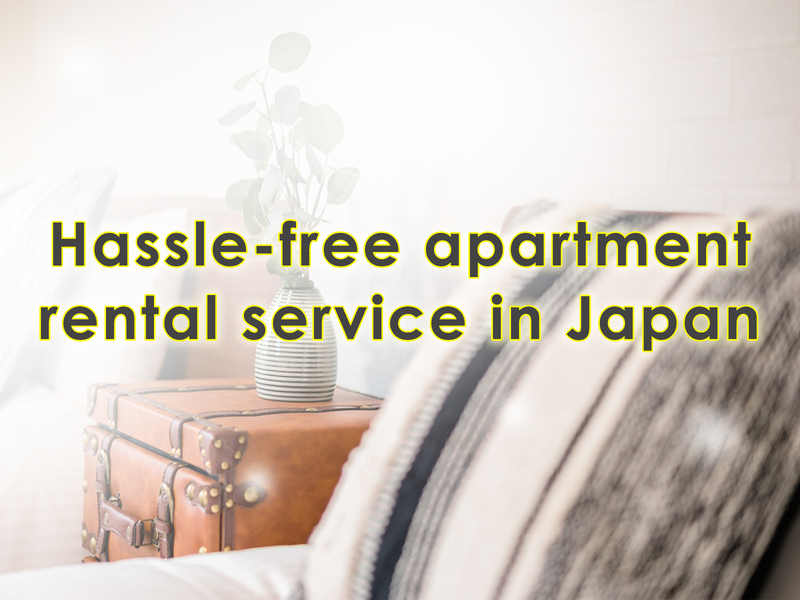 With plenty of one-storied houses and temples, this area is perfect for walking as there are few cars and plenty of cats. 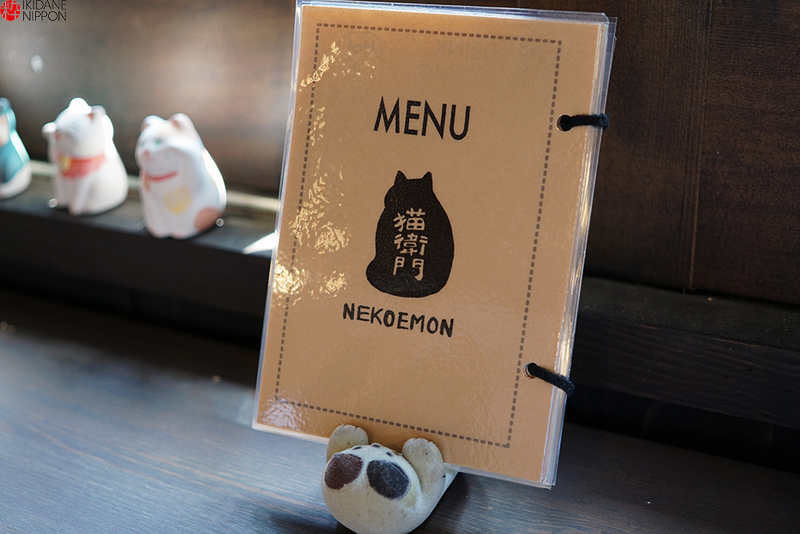 So in this feature, we introduce two stores where you can have fun with Maneki Neko (Japan’s lucky cat), Yanakado and Cafe Nekoemon. 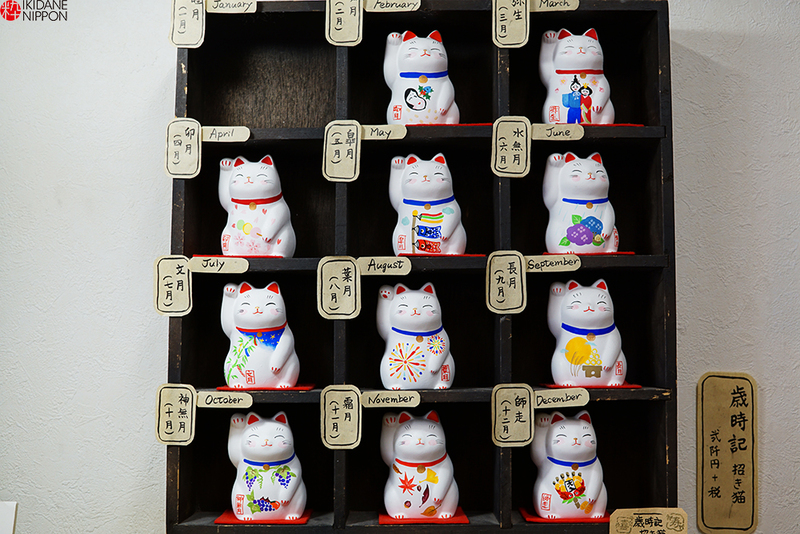 Just a few minutes from Sendagi Station, you see a large maneki neko as you walk toward Yanaka Ginza (shopping area). 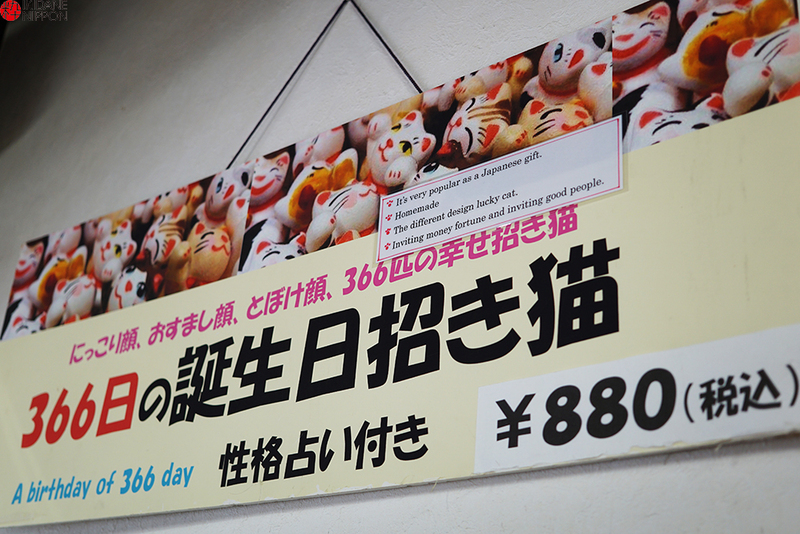 On going closer, you realize that it is a Maneki Neko specialty store. The entrance to the store is wooden and you instantly feel the warmth of its old interiors. 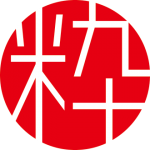 As expected, you see lucky cats everywhere! 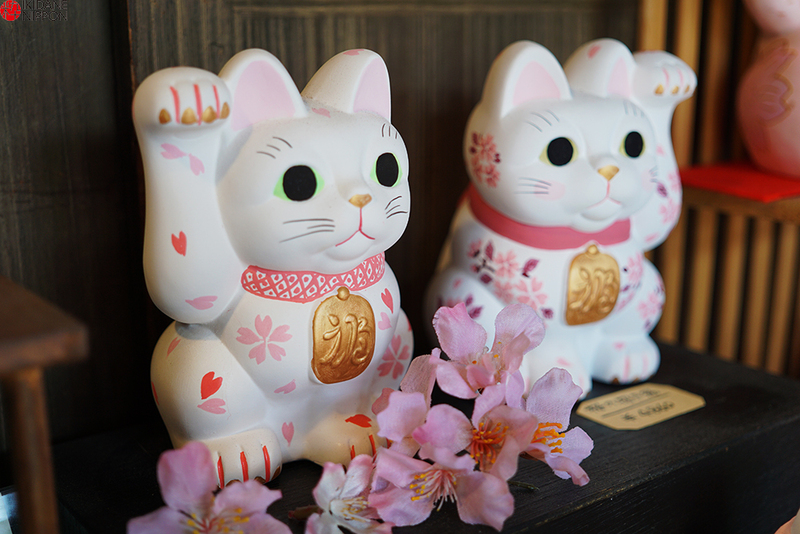 They even had a cherry blossom motif maneki neko…a perfect souvenir for someone who loves spring and cats! 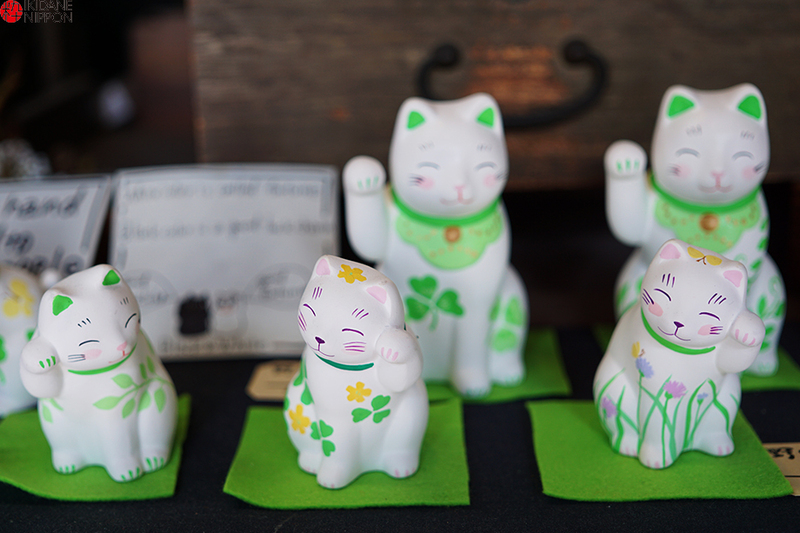 The maneki neko in green seem to remind you of irises and early summer; they almost have a cooling effect on you. 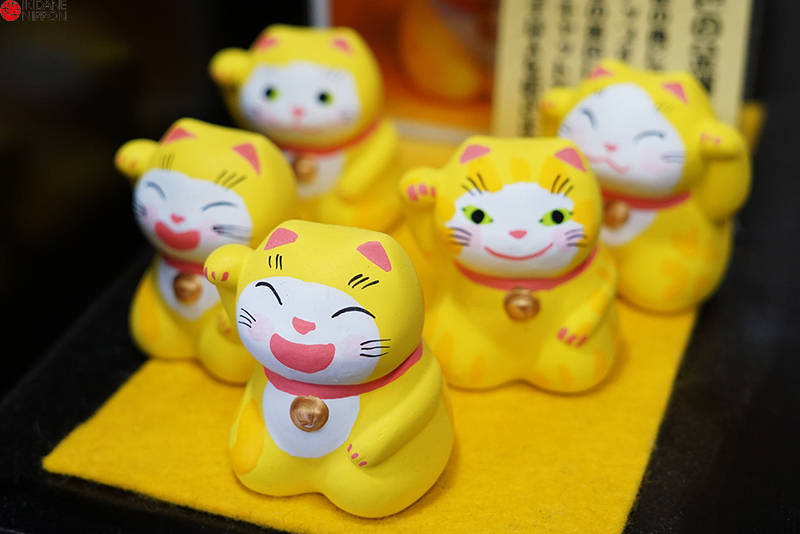 You can also buy golden or yellow color lucky cats! 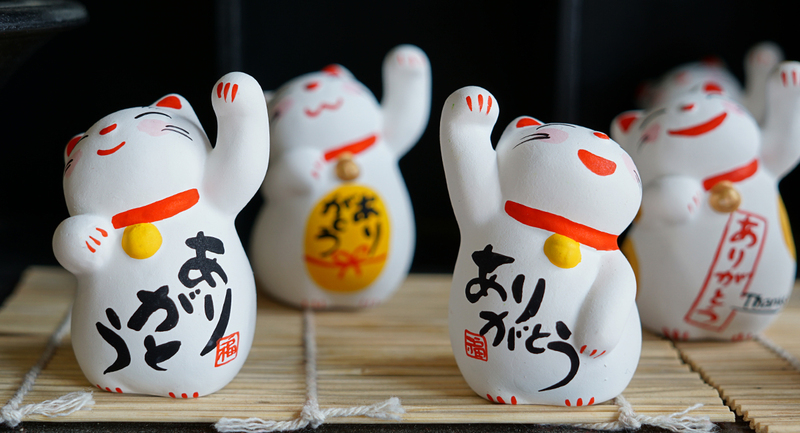 Maneki Neko have either the right or left paw raised (sometimes both too). The right paw is for inviting good fortune or money while the left is for attracting customers. Both paws raised would mean you invite both but it also can represent protection. 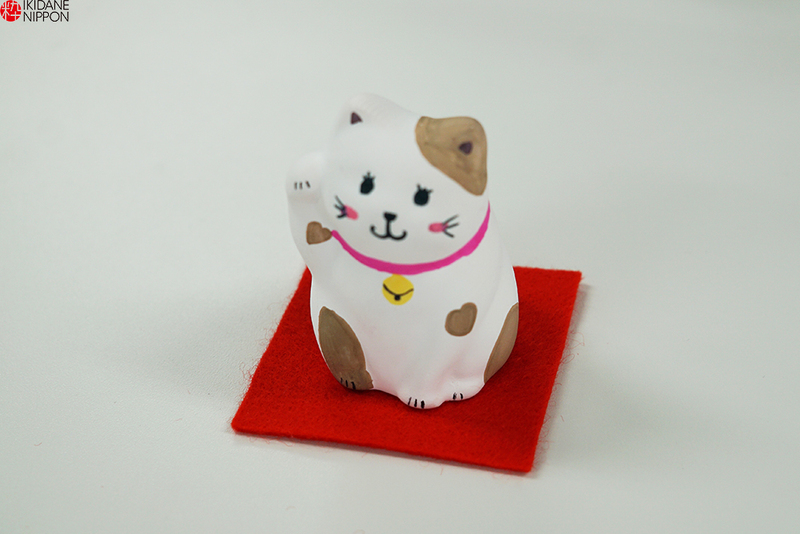 Find out why does Japan’s lucky cat have a raised paw? 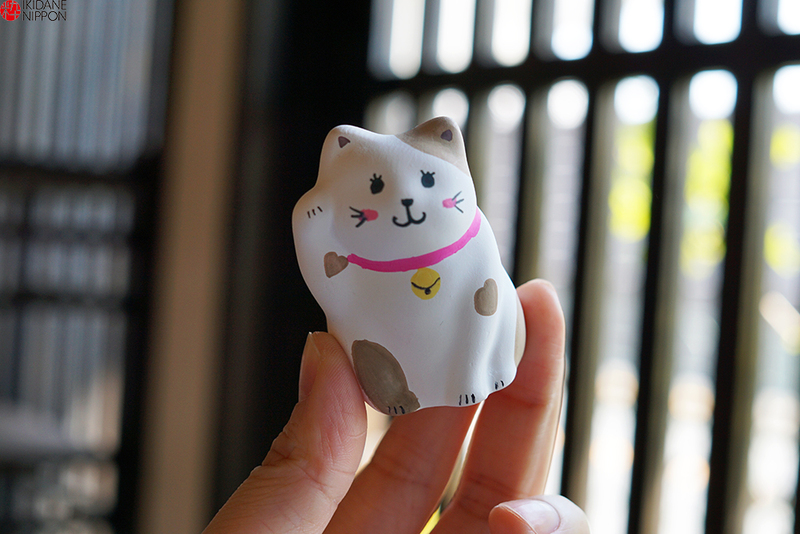 Recently, people have also been fond of maneki neko that have hands risen a lot more than the traditional kind. It represents a positive attitude towards life! 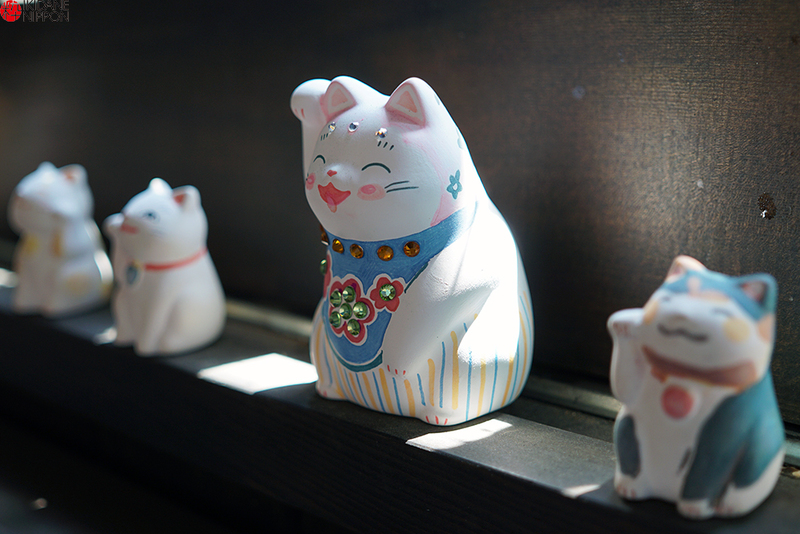 You can also find maneki neko with seasonal designs for each month of the year. 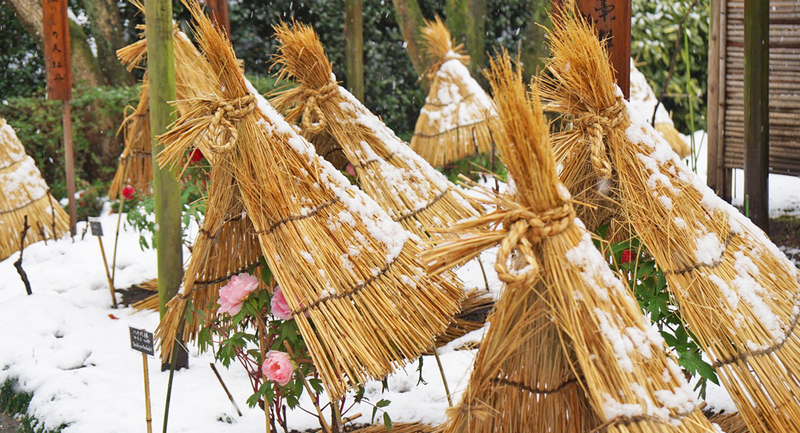 Can you recognize some of these seasonal patterns? 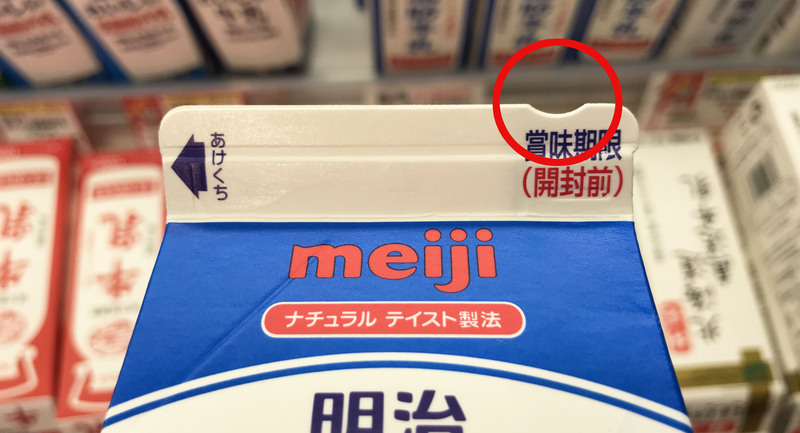 The January version was sold out, can you guess what it would be? 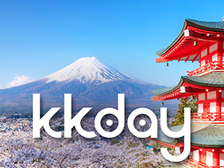 One more version is the 366 day maneki neko! 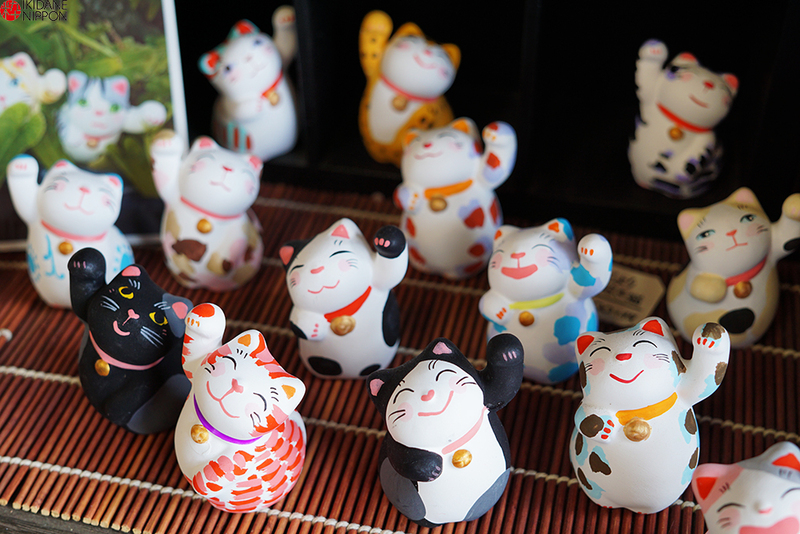 You can get one for each day of the year, the maneki neko expressions as well as designs for each one are different. How about buying one for your birthday or gift it someone on theirs? 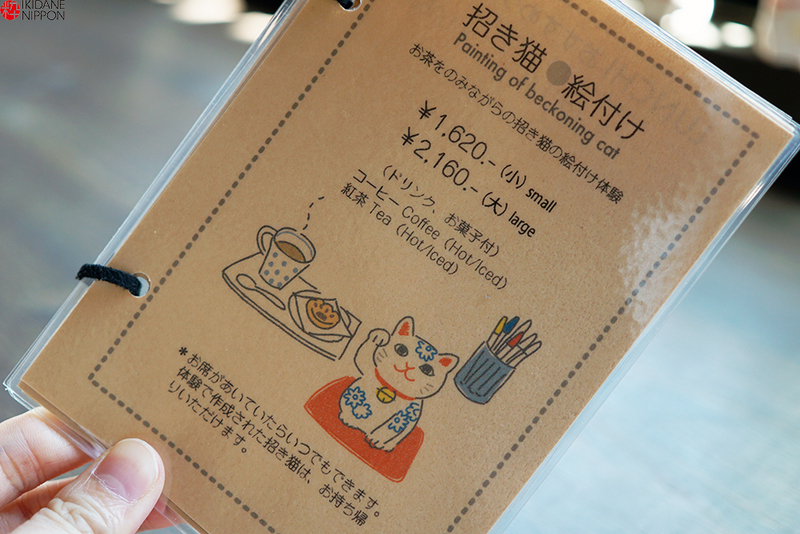 The next store we visit, is actually a cafe, where you can create your own original Maneki Neko. You can choose between table or counter seats. We chose to sit on the counter with the sunlight streaming in through the window. 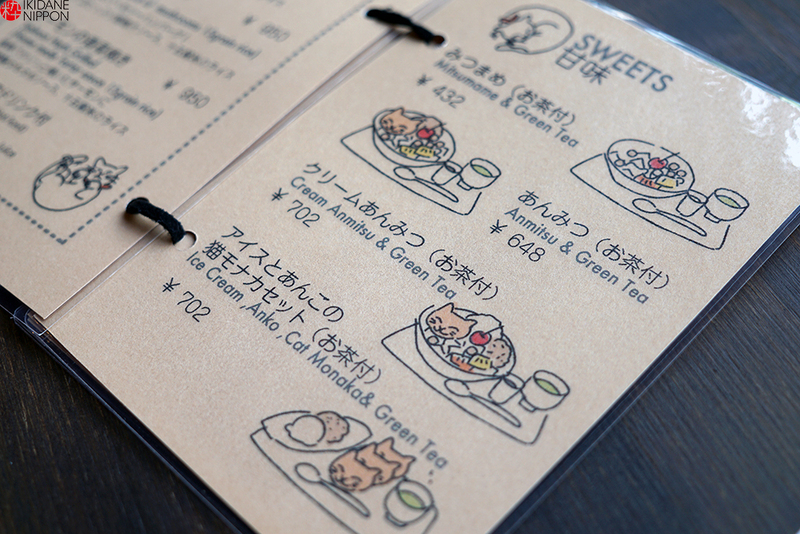 Isn’t the menu holder adorable? 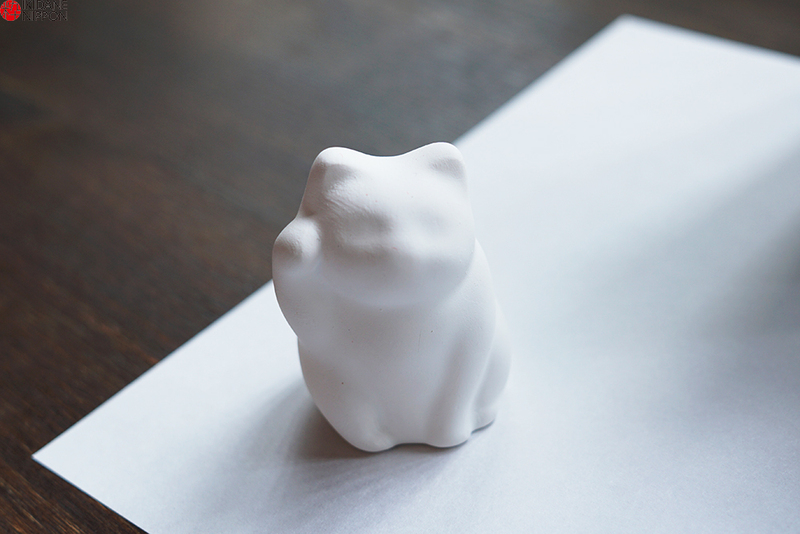 Along with your drink, you can choose to paint either a small or large size maneki neko. We chose to have cold black coffee and it comes with a paw-shaped treat! 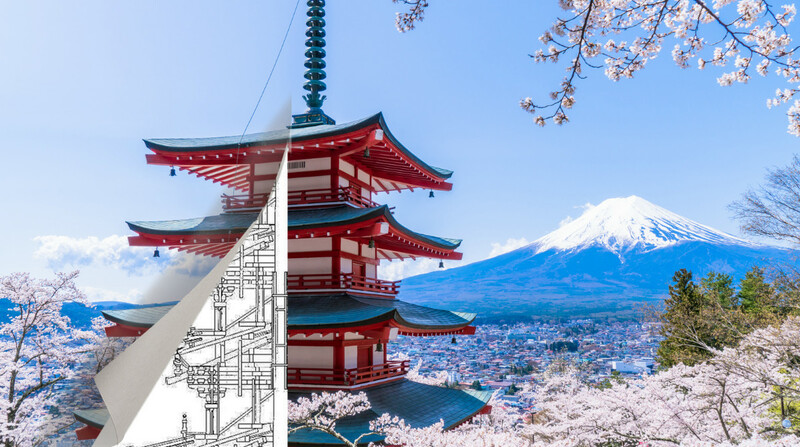 You will be given an A4-size sheet of paper, so you can draw rough sketches and practice your design. 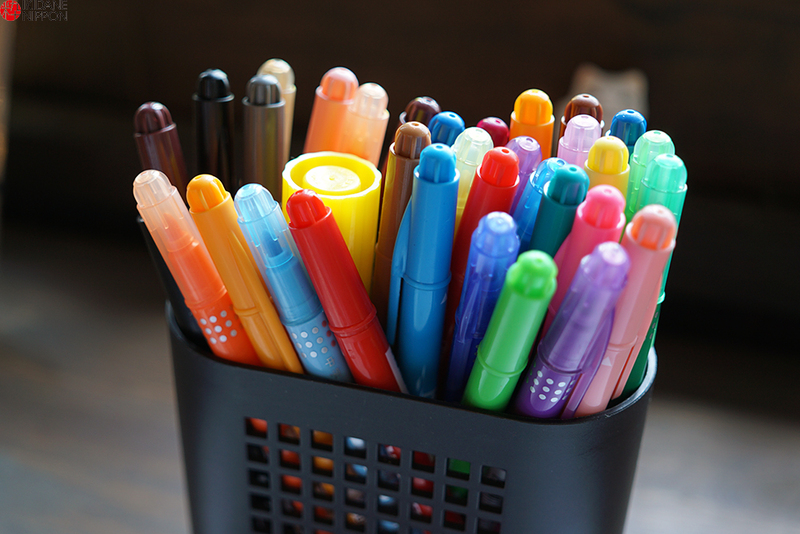 You will then be given coloring pens and you can totally let your imagination go wild here! 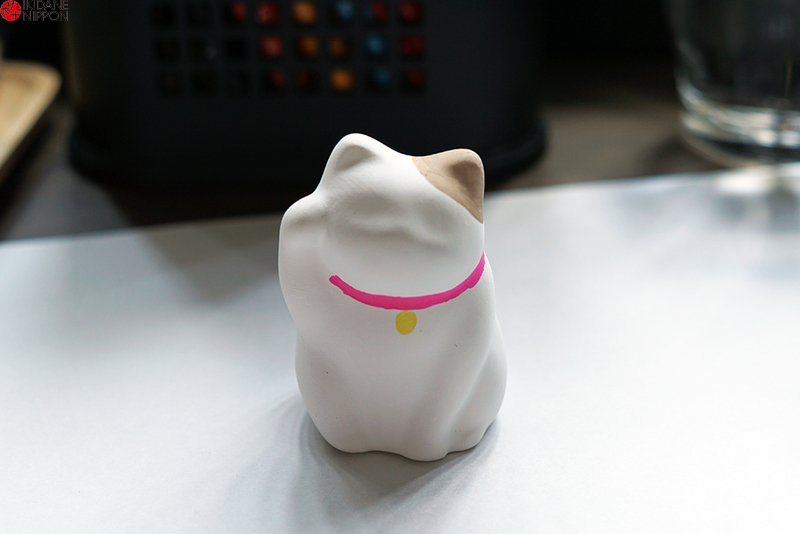 You can also get inspiration from the cats on the counter. Here we go! Looks like a dog, doesn’t it? So we added a tiny nose and whiskers. 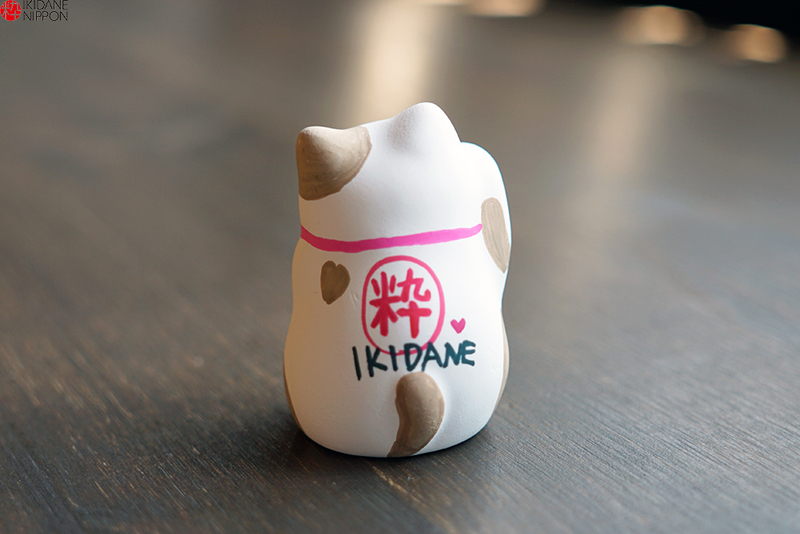 Of course, we had to add our logo on the back to complete our original maneki neko. 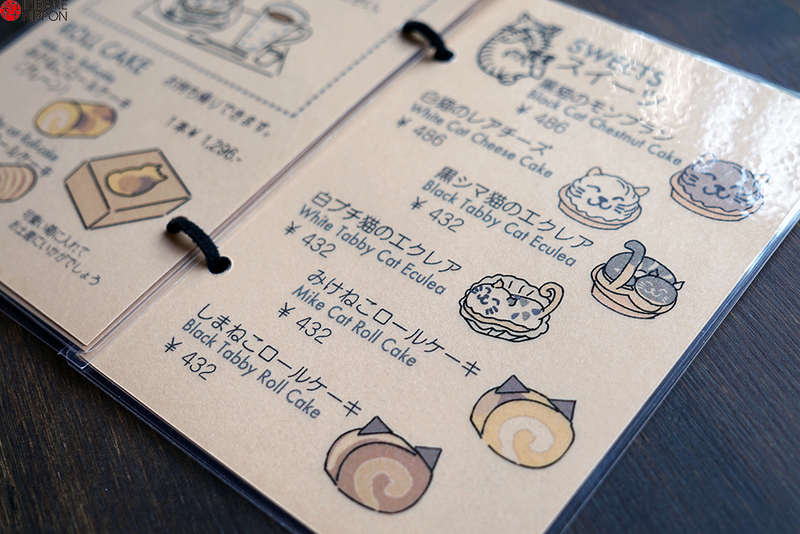 Plenty of cat-inspired desserts to choose from too! 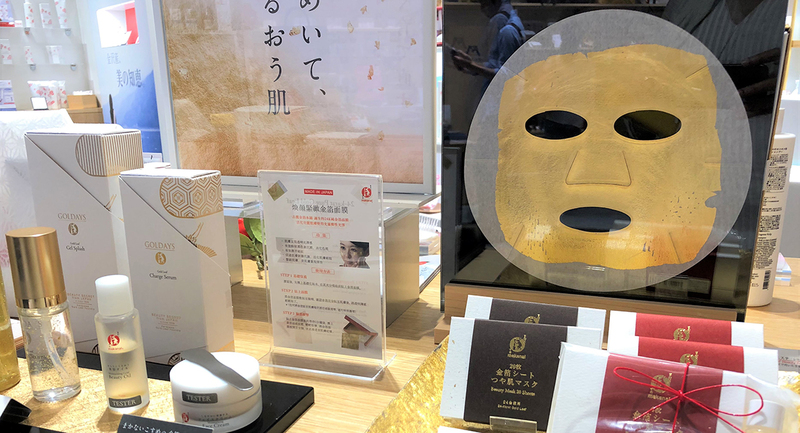 There are also traditional Japanese desserts that go well with green tea, so even if you don’t feel like having a western dessert, you could have one of these refreshing treats. 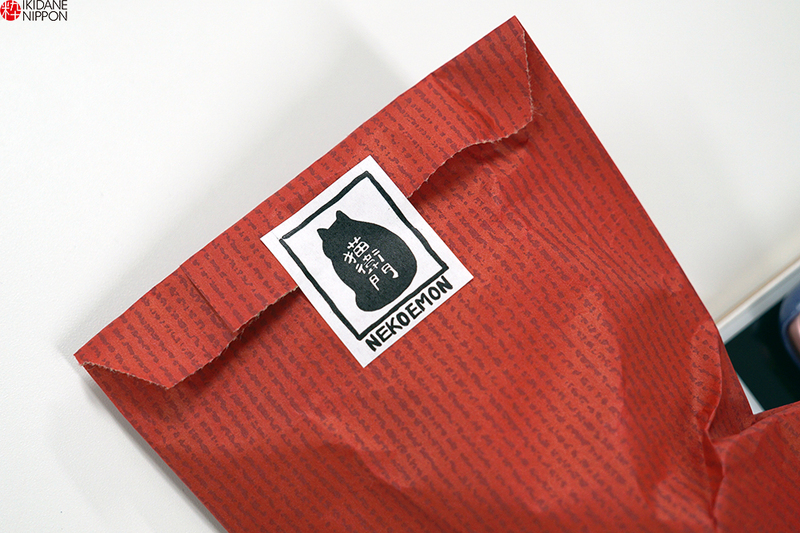 Our maneki neko has been packed. Time to bring it home! 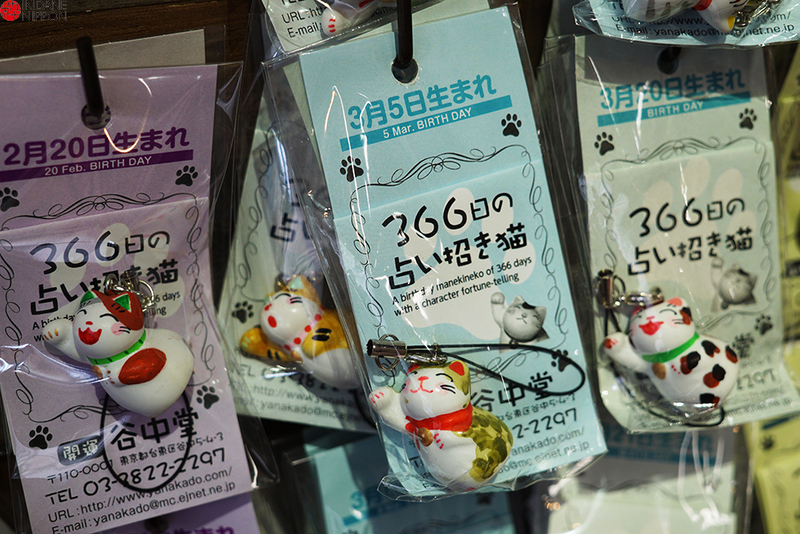 You even get a tiny mat for your maneki neko. 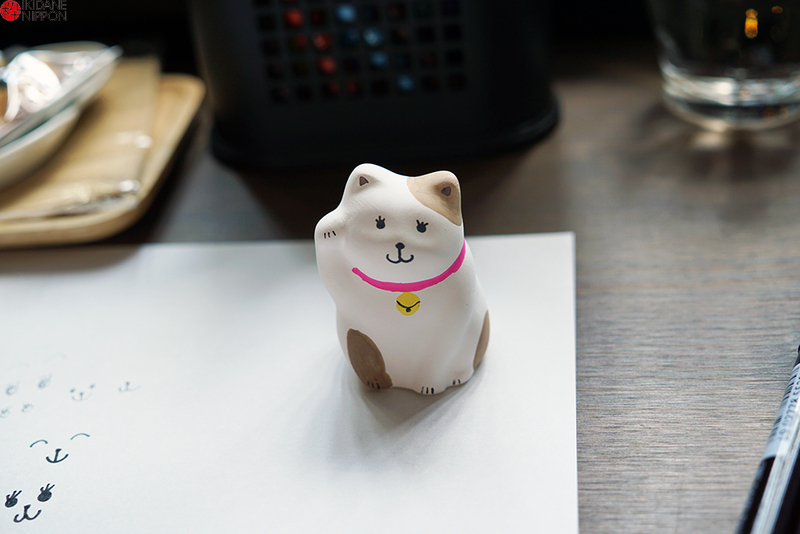 It’s perfect to keep on your work desk or by your bedside at home! Did you enjoy reading about these two stores? 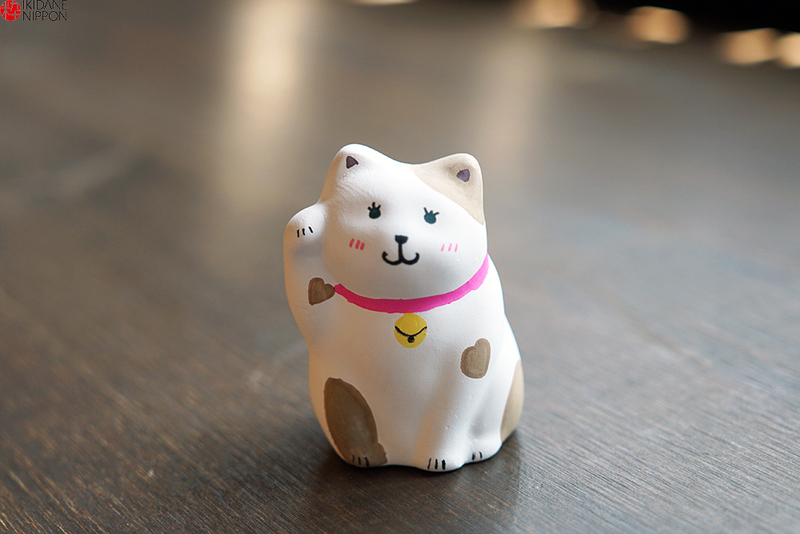 How about picking Japan’s beloved cat as a souvenir?